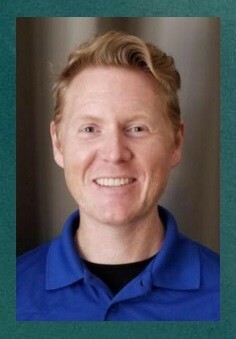 *Our Staff Therapists are qualified to practice customized modalities that will specifically serve your massage needs. 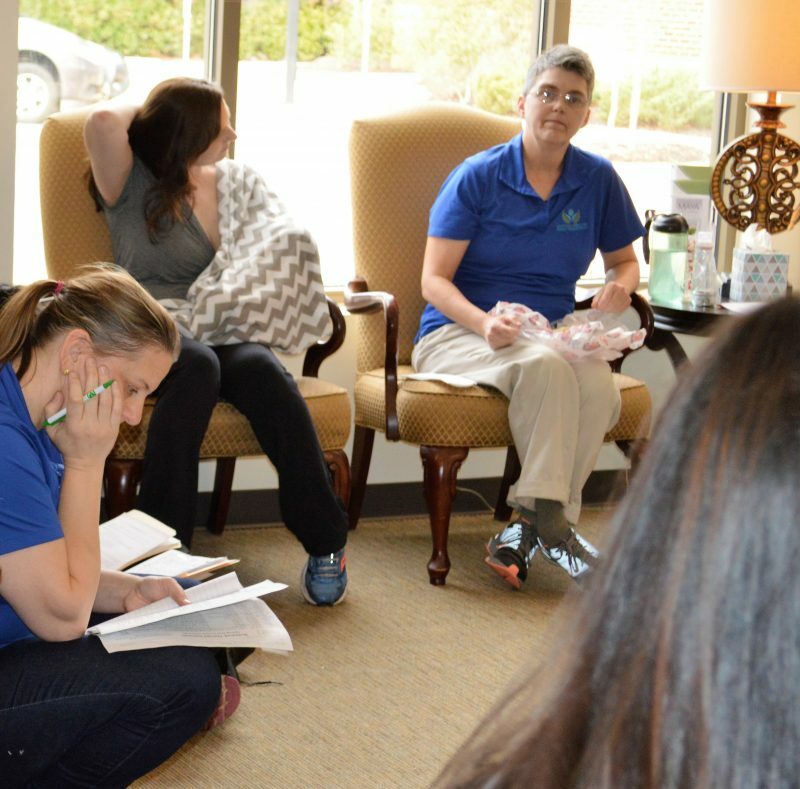 Each practitioner brings his or her unique touch and specialized skills to the practice and all are cross trained in I-NMT: a therapeutic blend of neuromuscular therapy and myofascial release taught by Hands On Health founding partner, Laura Landsiedel Ford. Reference our Services page for description of the techniques we offer at Hands On Health. 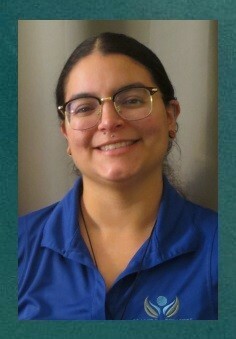 Cindy holds a BA in Social Sciences with a concentration in psychology from Wesleyan College in Virginia. 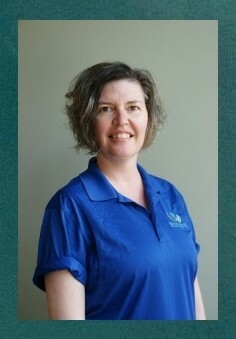 After 20 years in customer service management, she joined our massage therapy field in search of helping others discover health and wellness. 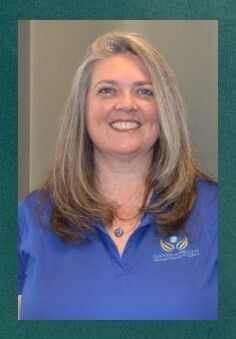 Cindy is a massage therapy graduate of Miller-Motte College.She is e University. 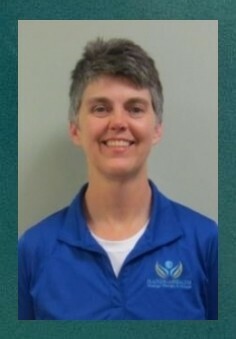 She is an amateur runner and finds passion in managing sports performance and treating associated injuries with massage >> Learn more about Cindy Molnar. In June 2007, Tammy graduated from the American and European Massage Clinic located in Raleigh, NC where she studied with Vladimir Bogatov, MD. 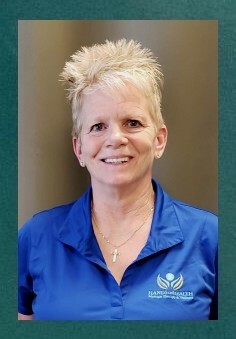 Before joining the Hands On Health team, Tammy obtained a BS in education with an emphasis in sports medicine from Old Dominion University in Norfolk, Va. She then went on to practice as a certified athletic trainer in a physical therapy clinic for seven years. >> Learn more about Tammy Paine. I enjoy working with individuals who are looking to improve their access to and knowledge of self care. Many people who are seeking ways to stay healthy find that we therapists make a great resource for learning more body awareness and the benefits of bodywork for staying active and feeling fully alive. I also like to focus on addressing compensatory issues that develop when people are recovering from injuries, surgery, or the demands of life! My years in the orthotics field prior to repurposing my skills and joining the massage therapy profession have helped me key in to the orthopedic and functional aspects of bodywork. If you >> Learn more about Dawn Hege. While training Shim Gum Do (a Korean martial art) in her early twenties, Barbara realized she wanted to have a career that centered around the Mind/Body connection. This led her to the Muscular Therapy Institute in Cambridge Mass. where she studied massage and bodywork. She graduated in 1995, and three years later attended the East/West Institute where she studied Traditional Chinese Medicine >> Learn more about Barbara Gilly. I enjoy working with people that have never received massage before. For many people, the idea of a stranger touching them may seem daunting to many, but I like to be the one to educate them that receiving regular massage doesn’t have to be scary … Click to learn more about Nicole Bermeo. Como hija de madre colombiana y padre ecuatoriano, entiendo la necesidad e importancia de poder comunicarte con las personas a cargó de tu salud. Mi experiencia con masajes terapéuticos y habilidad de hablar en Español pueden ayudar hacer tu experiencia más fácil y relajante … Haga clic para obtener más información sobre Nicole Bermeo. Charla graduated from Miller-Motte College in 2009 and also has a bachelors degree in Multi-Disciplinary Studies from NC State University. She joined the Hands On Health team in the summer of 2012. 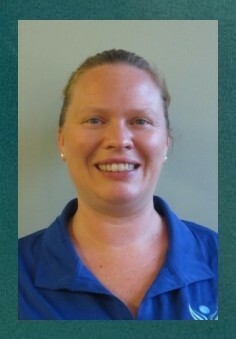 In her off time, Charla is an avid Carolina Hurricanes Hockey fan and a massage teacher at Miller-Motte College. >> Learn more about Charla Austin. 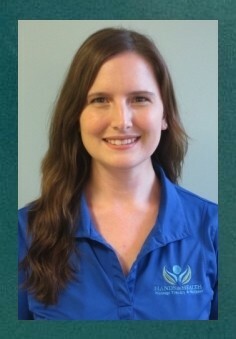 Jessica graduated in 2005 from Miller-Motte (Wilmington, NC) has been a therapist with Hands on Health since 2007. She received her BA in Exercise and Sports Science in December of 2015 in order to deepen her working knowledge of bodies in motion. Jessica enjoys working with athletes, pregnant women, and those suffering from “computer posture”. She became became proficient in medical massage by certifying as an Integrated Neuromuscular-Myofascial Therapist. >> Learn more about Jessica Mai. 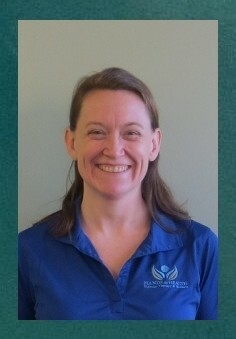 After graduating from the Medical Arts Massage School in early 2005, Jennifer was recruited for the Hands on Health team by one of her former therapeutic techniques teacher, Laura Landsiedel. Laura was impressed by Jennifer’s attention to detail in her hands-on work as well as her comprehensive written treatment analysis. Jennifer’s continuing education includes I-NMT courses via Hands On Health’s CE program. Congratulate Jennifer! 2014 was her 10th year at Hands On Health! >> Learn more about Jennifer Henderson. 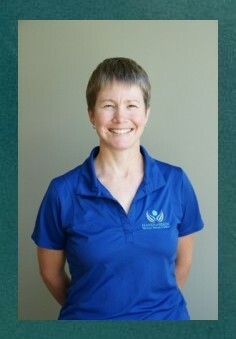 Tammy Green is a licensed massage therapist and has been practicing massage and bodywork since 2013. She is a graduate of Miller-Motte College in Cary NC and spent several years gaining a following while working at their clinic. Since Miller-Motte is closing, Tammy Green has transitioned over to Hands On Health to continue her life’s passion. She enjoys working with neck, shoulders, and back. She loves seeing people who are a variety of ages and enjoys using stretching as a part of her treatment sessions. 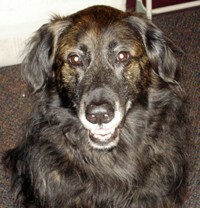 Learn more about Tammy G.
During her full life, Mocha brought much joy to our practice as resident therapy dog. Mocha’s presence lowered blood pressure, induced spontaneous animal adoptions, and ear-to-ear smiles. Additionally, scratches, belly rubs, and treats are always welcome! Do you have a dog therapy experience you would like to share or a favorite place you like to visit just because there is an animal presence? Email us and tell us your story. For those small business owners interested in bringing an animal in to the workplace, we’re happy to offer some tips to help your visitors accept an animal as a positive presence. Flowers in memory of Mocha were delivered by Davenport Florists, a dog friendly workplace.